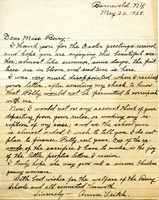 Martha Berry writes to Miss Whitfield about Polly, the girl benefitting from her donation. Miss Berry also discusses Miss Whitfield's visit as her personal guest to the schools. 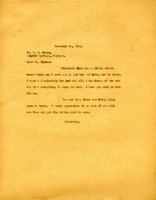 Miss Whitfield informs Martha Berry of her being ill while Miss Berry was in town. 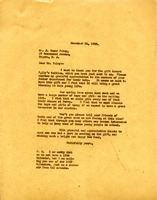 She also sends a $150.00 donation to be used towards the tuition of a student named Polly. Miss Anna Veitch sends a check for $150 for Polly's scholarship.She also helps support little girls who attend a mission school in Calcutta, India. 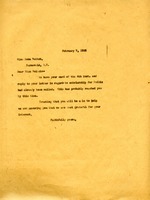 Martha writes to Anna that they have her letter of the fourth and the reply has been mailed. She trusts she will be able to help and grateful for Annas interest. 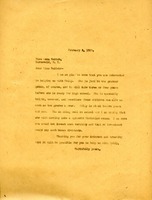 In this letter Martha Berry thanks Miss Veitch for her interest in helping with Polly. 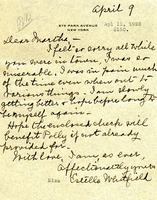 Martha Berry tells Miss Veitch that Polly is doing well in school and is almost ready for high school. 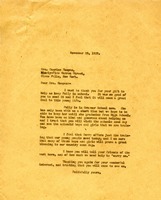 In this letter Martha Berry is thanking Maurice Hoopes for donating a gift to keep one of her students in school. Berry explains that the student is currently in Grammar School and that she hopes to have this student graduate from High School. She then goes on to explain why Berry is a good school for young people to go to. 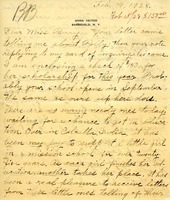 In this collection of letters between Miss Berry and Miss Flora C White there is discussion of Miss Flora's donation that had been lost in the mail; Miss Berry says how regretful she is that the letter was misplaced and that the school never received it. 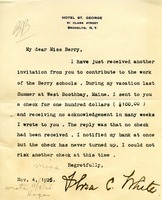 Miss Berry states that the $100 would have allowed a little girl named Polly to come to Berry to study. 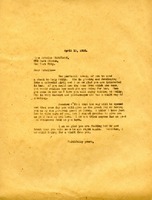 Miss Flora decides to resend her donation, and Miss Berry corresponds with her thanks. 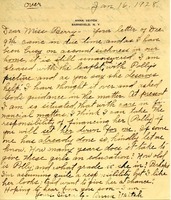 In this letter Martha Berry asks Mr. Blake to bring Elizabeth Deal's sister Polly down to Berry. 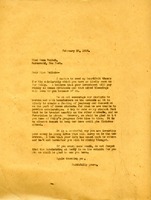 Martha Berry says that she has a scholarship for her and that she will look after her once she is at the school.